Marjorie Liu just presented the cover art for The Stars Below, the tenth book in her Dirk and Steele paranormal romance series. 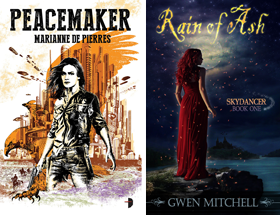 This is one fabulous series which I think has a lot of urban fantasy strengths in it as well. Marjorie says it is scheduled for a June 2010 release. No blurb yet. Looking forward to the blurb. I'm a sucker for mermaids. Nice cover! Actually, several of the covers for this series have been good. Abigail the Dirk & Steele series is autobuy for me. Marjorie has introduced so many out of the ordinary shifters in the series there are always great surprises. Lynn the first (Tiger Eye) is my favorite cover. I think my favorite is Eye of Heaven, but I enjoy them all very much. Marjorie is one of my favorite authors and I just love the Dirk & Steele series. 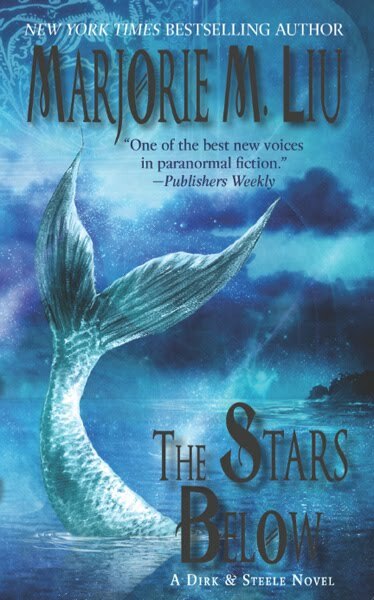 I like the fact that this one doesn't have a person in it, just the mermaid tail....But I'm super interested about the blurb because there was a merman in her sixth book. Mishel I remember that, he escaped with the group and was wary of going ashore. Maybe this is his story.